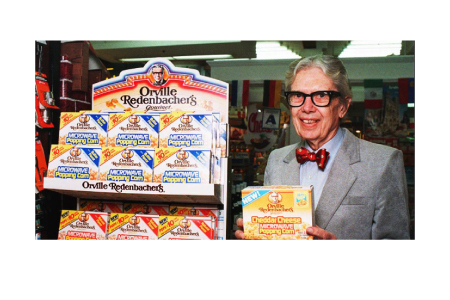 Blog Maybe I was wrong about The Redenbacher Effect! Maybe I was wrong about The Redenbacher Effect! 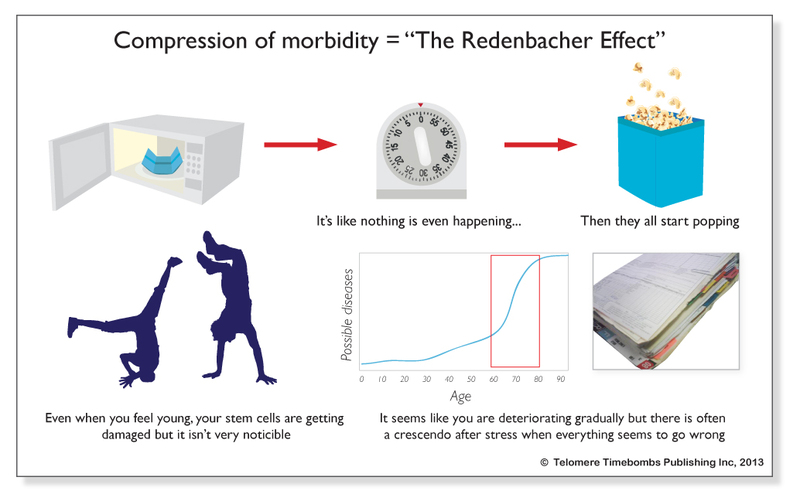 In my book, Telomere Timebombs: Defusing the Terror of Aging, I described what I called “The Redenbacher Effect”. Briefly, it is the phenomenon of not seeing any kernels popping for 1minute, 30 seconds and then suddenly they all go off. I assumed that the stem cells throughout your body were all getting damaged at the same rate and that was causing the synchronization of different diseases. What is missing is an understanding of where replacement stem cells come from. We know regular cells are bad because their maternal stem cells mutate and become dysfunctional and/or senescent. 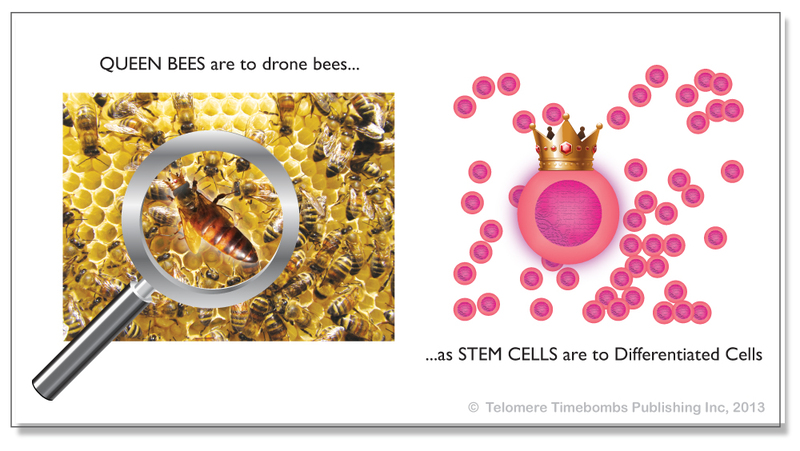 Each regular cell is just a copied clone of the local stem cell, queen bee. But when cells self-destruct via apoptosis, are they replaced by neighboring stem cells or from a central repository? This is the behavior that we don’t yet know- it’s like the “Secret Life of Queen Bees” to borrow the title of a novel. Possibly they can come from local sister stem cells but perhaps those queen bees are too terminally differentiated and exhibit appropriate contact inhibition behavior, rendering them unable to cross populate a neighboring niche? Why would we want to use a sister, possibly equally damaged neighbor after the current queen dies? 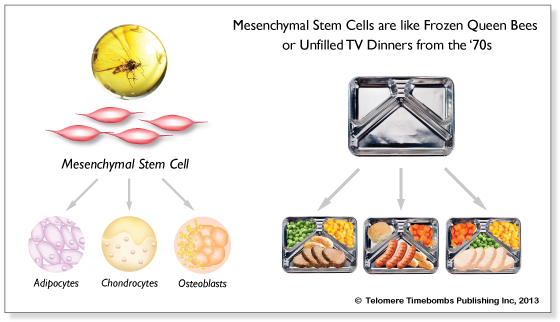 The alternative hypothesis for explaining “The Redenbacher Effect” is that instead of all the stem cells cooking at the same rate, they are actually being replaced by an undifferentiated common repository of mesenchymal stem cells. That central repository is declining in number and quality with time. So when you are in your 70s and you need new pancreas cells, you get bad replacements which give you diabetes. When you call for new bone cells, you get bad replacements giving you osteoporosis, etc…There is only one disease, with many faces. Perhaps as described in this blog about paternal aging’s deleterious effects on sperm quality, telomerase only makes cells immortal but can’t prevent mutation from non-telomere shortening etiologies. It’s an ark, not a rainbow. The real breakthrough will be in safe and accurate cryopreservation and reuse of earlier, healthier copies of your stem cells for future use as described in this blog about engineering immortality. 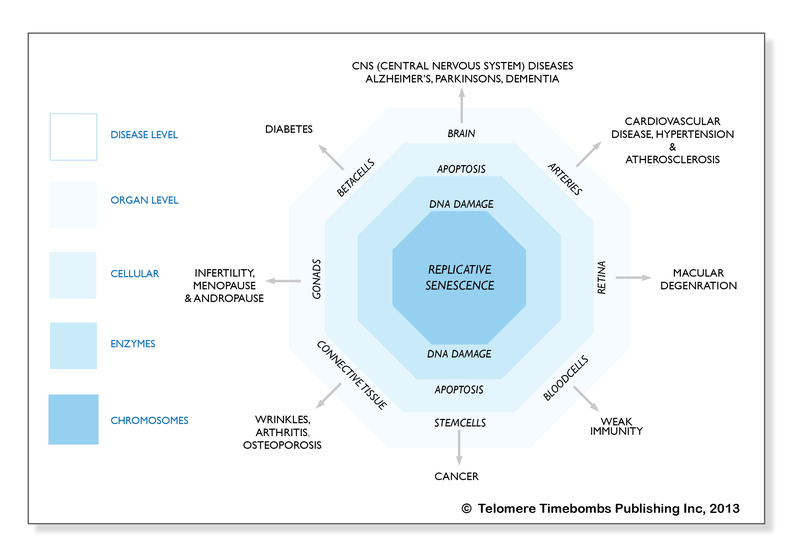 If you want to read more about my theories, check out my book from which all these illustrations are taken, Telomere Timebombs (read the reviews here).